Half an hour later and one of the museum visitors is telling me that even though I am from the Roman Town of Chester I must go and see Caerleon. The lady comes from Abergavenny and, yes, her son went to school with my cousin's son (Ian Pountney is my cousin and runs/ran a tailors in Abergavenny). Two weeks before in Shrewsbury a passing parkrunner says that my little old car looks nice - turns out she is also from Chester - and we went to the same school at the same time but not in the same class. 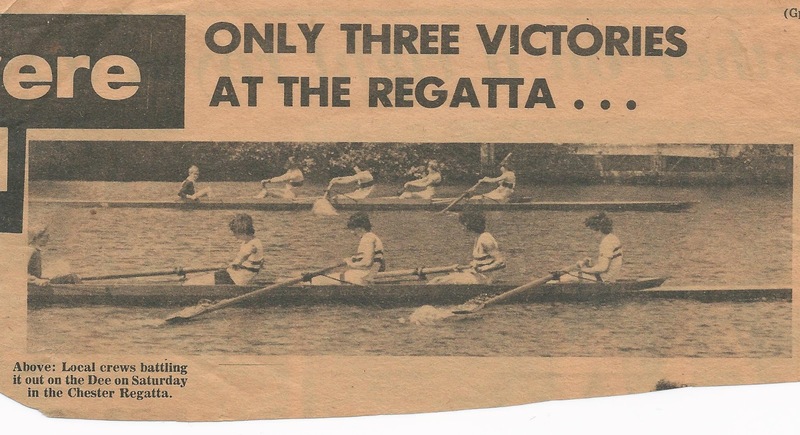 Later I mention to the tea shop owner that the last time I was in Shrewsbury was more than 30 years earlier - I was the school coxed four - and it turns out we very possibly raced against each other that season. Is Shrewsbury trying to tell me something? St Chad's is nothing special on the outside - but the inside is very well worth a look. The current vicar is the Rev. Mark W A Chadwick. Makes sense. A light breakfast at "Cafe on the Cop"
10:22 - all this and a cup of tea for under £7. I don't normally go in the first café I see but it was the black-pudding (and not having eaten since yesterday) that made the decision for me. It is a weird triangular shape inside - the open plan kitchen is at the pointy (and far-end) - you get to see all the cooking being done. There are only about 7 tables. All three folks in this picture went in for breakfast. I hope it stays a café.